Nestled in an industrial park in the beautiful city of Canmore which borders Banff National Park is an informal eatery dedicated to making delicious burgers, smoked meat sandwiches and most importantly poutine. I know poutine sounds a bit naughty when you first hear it but the best way to describe it is Canada’s way of making fries. Poutine is a combination of crispy fries mixed with fresh cheese curds and covered in gravy so it all melts together and is the best hangover meal ever. 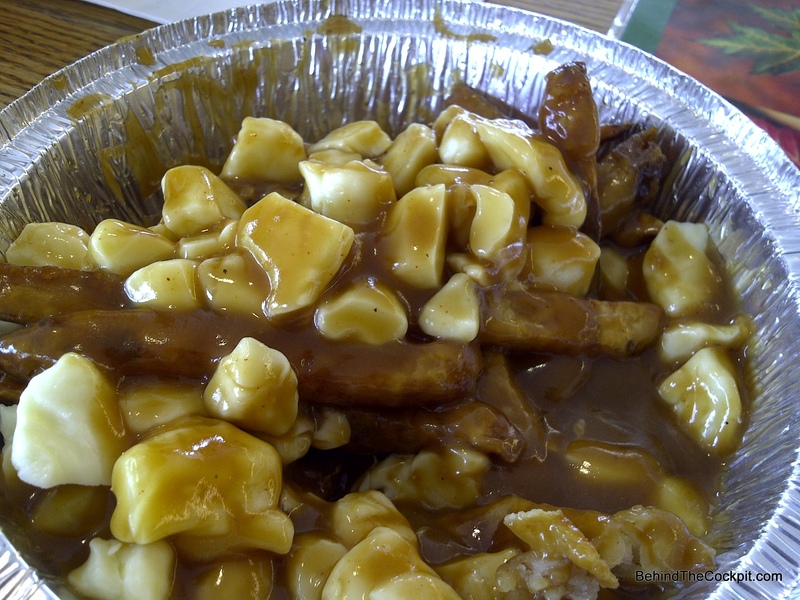 Poutine was created and perfected in Quebec. I used to enjoy this dish often in Montreal when I went to university with my limited budget. I’ve eaten at many poutineries since leaving Montreal and have never found a place where even the most finicky of poutine lovers would be impressed except here. La Belle Patate also has a location in Victoria and Vancouver. The 3 locations are run by two brothers and one of their friends. They have many different kinds of poutine such as Montreal smoked meat and Mexican with ground beef and jalapenos. I’m a traditionalist so I always go with the regular poutine, even though it’s simple the satisfaction from those melting cheese curds, crunchy fries and warm gravy all at once really works. La Belle Patate is poutine perfection right here in the middle of the rocky mountains! This entry was posted in Food Worthy of a Detour and tagged Banff, Canmore, Food, Poutine, Restaurant. Bookmark the permalink.